We are Sew Jersey – a local quilt boutique owned by a 4th generation quilter, in the heart of Morris County, NJ. We have over 3000 bolts of fabric, 5 lines of Sewing Machines, Notions, Classes and Finished Artisan Quilts. 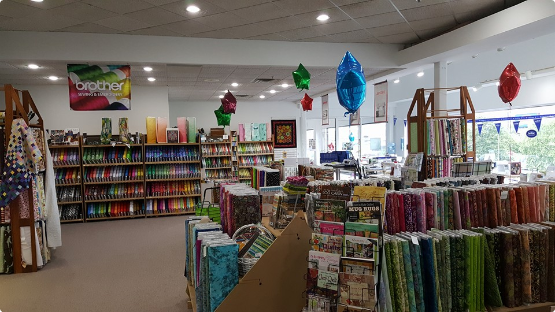 Whether you are an advanced quilter, someone looking to learn to quilt or sew, or just a quilt fan – stop in and check us out – we are Sew Jersey .